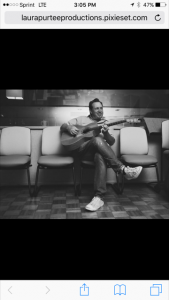 Originally from the great state of New Jersey, Dylan has been writing songs and performing in Nashville for 18 years. He has dad two #1 songs: Tim McGraw’s “Watch the Wind Blow By”, and most recently, Jake Owen’s “Barefoot Blue Jean Night.” Other artists who have recorded Dylan’s songs include Jason Aldean, Trace Adkins, Will Hoge and Gabe Dixon. He is an avid supporter and volunteer for Musicians On Call, an organization that provides live music for patients in area hospitals, and he co-hosts an annual benefit for JDRF (juvenile diabetes research foundation) with good friend and frequent collaborator, EMI Nashville Recording artist Eric Paslay. 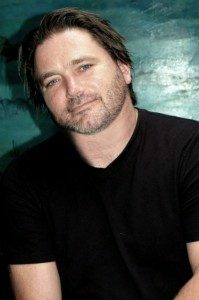 Phillip White is a Alabama native that has spent the last 20 plus years writing songs for some of the biggest artists in the business. George Strait, Luke Bryan, Chris Ledoux, Vince Gill, Bonnie Tyler, Scotty McCreery, Darius Rucker, Wynonna, Reba, Blake Shelton, Rascal Flatts, Jake Owen, Josh Turner and Neal McCoy are some of the artists that have recorded Phillip‘s work. Among these include the 2003 ACM song of the year “I’m Movin’ On”, The Theme song for Reba’s self titled hit tv show “I’m A Survivor” and Blake Shelton’s “Nobody But Me”. Over the past couple decades he’s been published by some of music row’s most respected publishers including stops at Murrah Music, Disney, Universal, and Seagayle. He most recently signed a new deal with Frank Rodgers new company Fluid Music Revolution and Spirit Music Publishing. Phillip has produced and worked in the studio with some of Nashville’s best acts including Blake Shelton, Jake Owen, Luke Bryan, Kevin Denney, Joanna Smith, and most recently just finished an album on Lauren Ashley and The Trainwreckers.